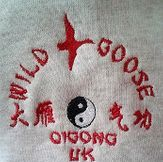 Wild Goose Qigong classes may vary depending on the method adopted by the individual teacher. All our classes are run on a friendly, informal basis. A list of class instructors is below. Find an instructor near you! 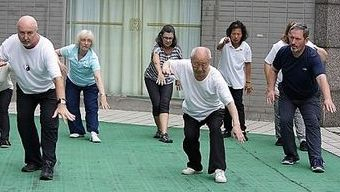 We teach Wild Goose Qigong as handed down through 28 generations. 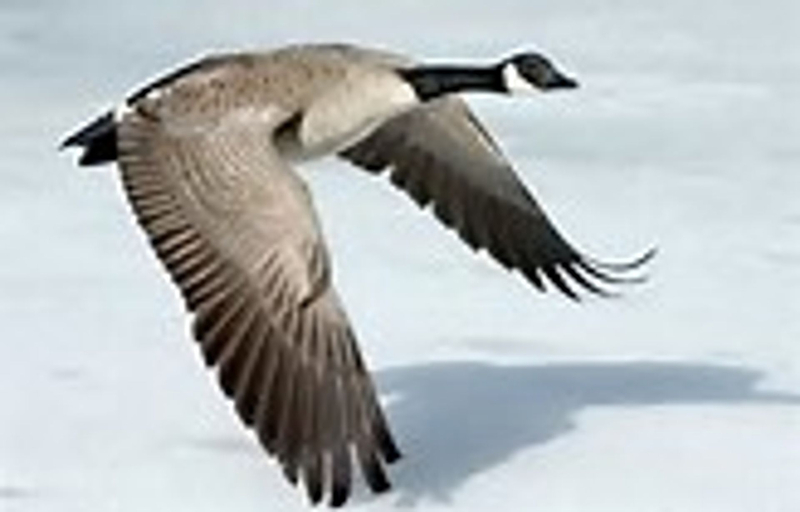 Our Wild Goose Qigong is the Original, Authentic, Accurate version from the direct Lineage holder Grandmaster Chen Chuangang. Come and experience the benefits of this wellbeing system from China which is almost 1800 years old! Sunday morning 10.45 - 11.30 Beginners, 10.45 - 12.15 Improvers. * Workshops - Sue is available to teach weekend workshops. Please contact for more information. 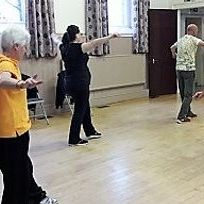 Sue Johnson has practised Wild Goose Qigong since 1990 and started to teach in 1992. She has studied and teaches most of the Wild Goose Qigong system. In 2016 she visited Wuhan in China to train with Grandmaster Chen Chuangang, where she revised both the 1st and 2nd 64 and was awarded her teaching certificate from the Grandmaster, to teach these skills abroad. In 2017 she returned for a further 8 days Intensive training with the Grandmaster. 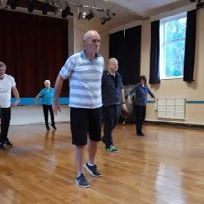 Classes are friendly and informal and beginners are welcome to come and join in at any time. Sue is also available for workshops / taster sessions / and private tuition. This class is suitable for beginners and those with some Qigong experience. This class covers the 1st 64 and 2nd 64 Wild Goose Qigong, Soft Palms Qigong and the Kunlun Bagua Qigong. 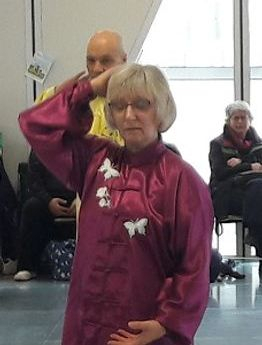 Sheila has been practising Qigong since 2008. She has trained extensively with Dr Bingkun Hu . In 2017 she completed 8 days intensive training in Wuhan with the Grandmaster. Jaki has been practising Qigong for over 12 years. 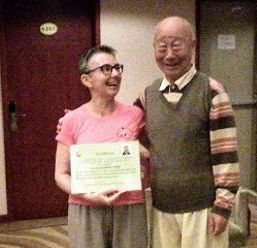 She was one of the first British students to receive Intensive training in China with Grandmaster Chen Chuangang, where in 2016, she received her Wild Goose Qigong Instructor Certificate. In 2017 she returned to Wuhan for a further 8 days Intensive Training with the Grandmaster. She is currently teaching Wild Goose Qigong 1st 64 and 2nd 64.
in the SW of Scotland. Paul has spent many years in the pursuit of Tai Chi , Bagua, and Qigong. He has trained his Wild Goose Qigong in Bali with Simon Blow and also here in the UK with our group. 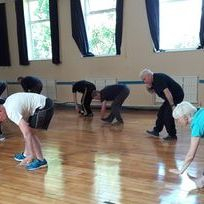 Paul has been commuting from Ireland to Manchester on a regular basis over the past few years in order to work on his Wild Goose Qigong. 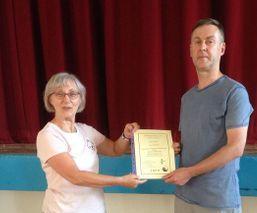 He is pictured receiving his certification from Sue Johnson. New Instructor Paul Maloney is now teaching a Sunday morning class. His class is in Celbridge, Co. Kildare. 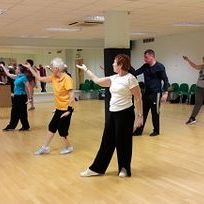 Guided by Sue Johnson, who has over 25 years experience and has trained in Wuhan with Grandmaster Chen Chuangang, these sessions are open to all abilities. Some students come to revise or update their skills, some come to learn from the beginning and some just to enjoy a group practise session. Why not start your Qigong journey with us? Come and join us to learn the Original, Accurate, Standard version of the Wild Goose Qigong 1st 64 and 2nd 64. 18th Aug, 27th Oct, 24th Nov, 15th Dec.
Grandmaster Chen Chuangang, 28th Generation Lineage Holder. Sue Johnson, our Bury Instructor, performing the 2nd 64.